The German cockroach are a small species of cockroach and they range in size from 1.1 to 1.6 cm long.In General their colour is light brown but can be almost black and it has two dark stripes from behind the head to the base of the wings.In fact these guys are the main culprit when it comes to infesting the home or business. Also they are prolific breeders . just one pair of german cockroaches can produce 10,000 offspring in a year. 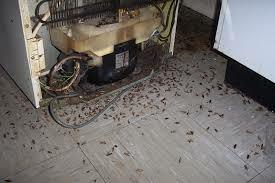 Also infestations are often at their worst in the summer months.In fact they reproduce faster than any other cockroach. German Cockroaches spread all sorts of Nasties. In fact when these guys are foraging around and looking for food, the nymphs, larvae and adults can contaminate and infect your food. They secrete a smelly discharge from their body which also contaminates your food. Like other cockroach species, the German Cockroach transmits bacteria as they walk. Transferring pathogens such as salmonella and e.coli to every area they come in contact with. In fact they also shed cuticles, droppings and other cockroach debris which are known asthma triggers and causes allergies. Originally from tropical Africa, the German cockroach now has spread all over the globe. 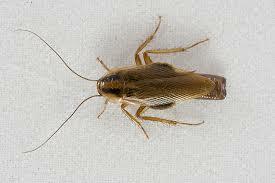 They are Fast movers and are faster than other cockroaches which makes detecting them difficult. They prefer a warm, humid, dark places to hide and is found more often in sewers. Around the home they love all the hiding places we have . Behind your fridge and around the motor. Dishwashers are another great place as we tend to forget to pull them out and clean behind them. As well as this they love our cupboards to hang out in. As there is plenty of food for them and generally dark . Like us they need food and shelter as well. Generally you will only see them at night . But if you see them during the day YOU HAVE A MAJOR PROBLEM.In Fact day time sightings means there are too many in the current environment. So they need to go further to source more food and shelter. The time to act is when you see them at night time . As controlling them is much easier. Once you start seeing them during the day the treatment will be more involved. and may need additional follow up treatments to get them under control. People believe that German cockroaches only infest dirty houses and businesses. Unfortunately, German cockroaches are equal-opportunity invaders. Even clean houses or businesses can get them. Where do they come from . Roaches are also easily transported from infested places to new places, so they could have hitchhiked with you from your previous home. or they may just have entered your house or business from outside . How do they get in . In Fact German cockroaches get in the house by hitchhiking in shopping bags, cardboard boxes, travel bags or furniture. As a Matter of fact You may bring a German cockroach that is ready to lay her eggs . So before you know it your home is infested. so always inspect all those boxes etc for any cockroaches. Get rid of empty corrugated boxes immediately, because these can be a favorite hiding place for them.Also If you work in a infested building, you could easily carry them home. Your children may carry them home from school in their school bags or lunch boxes, so check them every night. How to get rid of The German cockroach In your home and Business . The best way is to get a Professional Pest technician to come and treat your home or business. With German cockroaches you need to break the life cycle , so you need to treat them with specific sprays and gels which transfer and inhibit growth . Commonly known as I.G.R's. Once the treatment is done you will need a follow up treatment in a few weeks time to completely get rid of them. Also the technician will tell you what needs to be done . 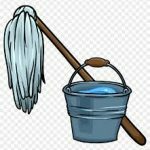 Cleaning behind fridges , cupboards etc . What places needing sealing off and how to keep them out. How to get rid of German cockroaches. Important things for German cockroach control is to keep your place clean and tidy. So If everything is nice and clean and no hiding places these nasties will not want to stay. Give us a call or fill out the form for a free quote.